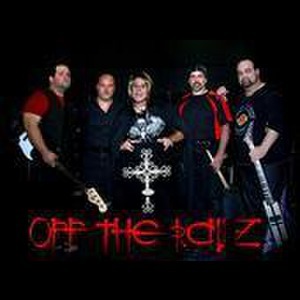 Taking their name from the classic hit Crazy Train off the landmark Blizzard of Ozz album, "Off The Rails" consists of five energetic and talented musicians who take pride in performing the music of Ozzy Osbourne and Black Sabbath with passion, dedication and originality. OTR has gained the attention of Ozzy and Black Sabbath fans throughout NY and the Tri-State area following their performances in live music venues, outdoor clubs, festivals, as well as corporate and private events. 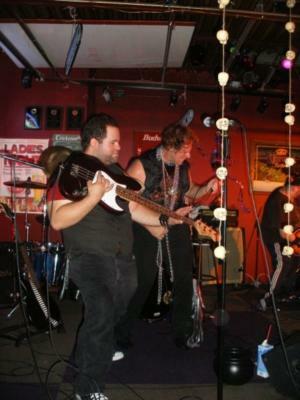 The group was formed in 2007 by lead guitarist, John D., and the vision has not stopped since. One goal , one mission: to be the best Ozzy Tribute band with-out straying from a genuine Ozzy/Sabbath show while adding their own flavor. It came naturally to play all the guitar solos and meticulous leads which defined an era for thousands of guitar players to come. John is able to capture and replicate 4 legendary guitar players in his role: Randy Rhoads, Jake E Lee, Zakk Wylde and of course Tony Iommi. The formulation of the band began with lead singer, Espo, AKA OZZY. Espo, no stranger to Ozzy's music, has been a long-time fan of the entire Ozzy catalog and was a member of other well known rock acts throughout the area. It was during a sabbatical from both of their bands that John and Espo decided to put together an Ozzy/Sabbath tribute band that they could take to the masses. Some hard work and searching brought them to their drummer Joey C, who is more than able to provide a solid back beat which is on-point similar to the articulation of Tommy Aldridge and Lee Kerslake from the original Blizzard of Ozz recordings. success and leaves the listener yearning for more. Their specialty is keeping any crowd on their feet and leaving a lasting impression of one Ozz filled night of greatest hits and then some. Spanning back to the early Black Sabbath days to today's current line-up it's a rock show which should not be missed. Please note Off The Railz will also travel to Flushing, Bronx, Great Neck, Jamaica, Floral Park, Glen Oaks, Glenwood Landing, Long Island City, Manhasset, New Hyde Park, New York, Port Washington, Brooklyn, Mount Vernon, Albertson, Elmont, New Rochelle, Pelham, Roslyn, Roslyn Heights, Williston Park, Cliffside Park, Edgewater, Fort Lee, Franklin Square, Garden City, Greenvale, Mineola, Sea Cliff, Valley Stream.